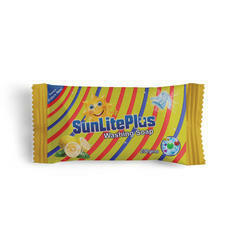 Leading Manufacturer of act plus detergent powder, sunlite plus washing soap, act plus abaya washing liquid, act plus liquid stain remover and act plus detergent cake from Chennai. 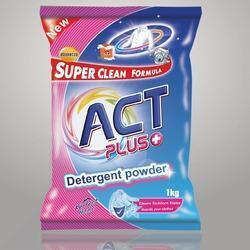 We are successfully meeting the varied requirements of our clients by providing the best quality range of Act Plus Detergent Powder. Only 50-60% of water is necessary to wash your clothes as compared to other washing powder since it is created using a low foam formula. Our Super concentrated technology removes tough stains, dirt and grease with a superior blend of oxygen stain Bleach and active enzymes. We respect a clean environment and that is why we have delivered a punch packed powder for removing germs from your clothes. Plus, it happens to be the perfect odour remover. 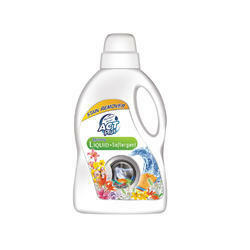 Being a leading firm in this industry, we are deeply engaged in offering a high quality range of Act Plus Abaya Washing Liquid. We are successfully meeting the varied needs of our clients by offering a wide gamut of Act Plus Liquid Stain Remover as per their precise needs. 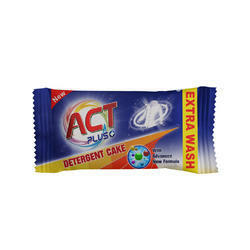 Keeping in mind ever-evolving requirements of our respected clients, we are offering a premium quality array of Act Plus Detergent Cake.